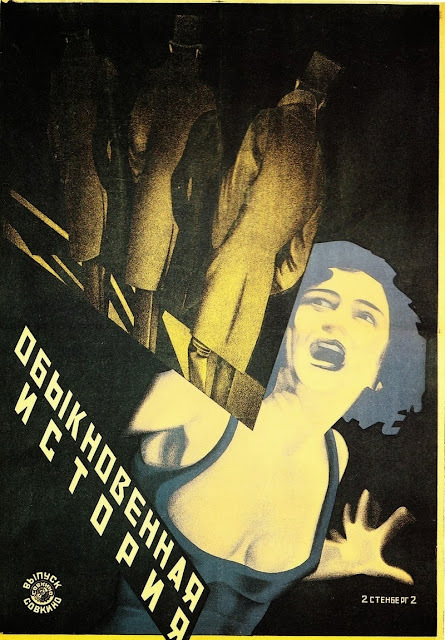 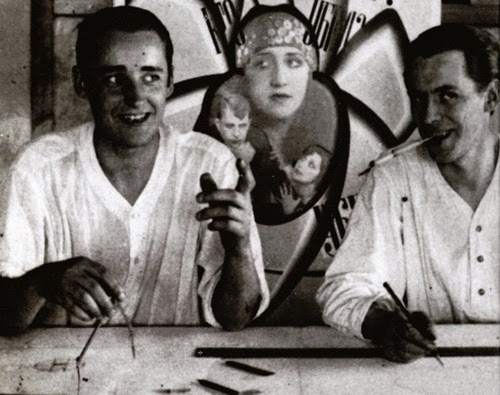 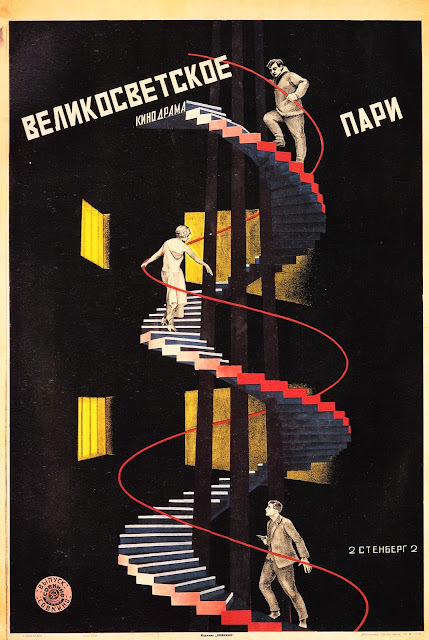 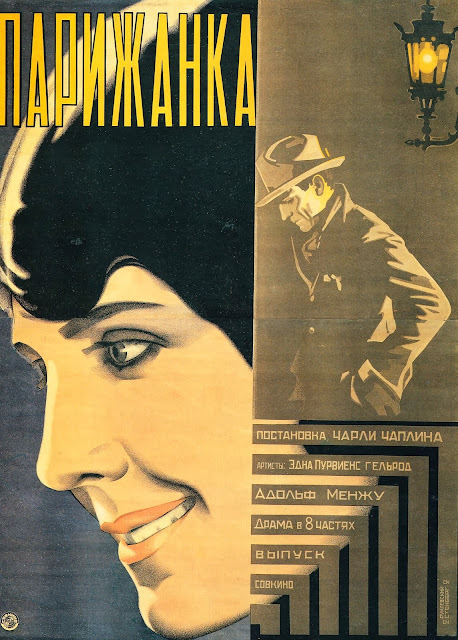 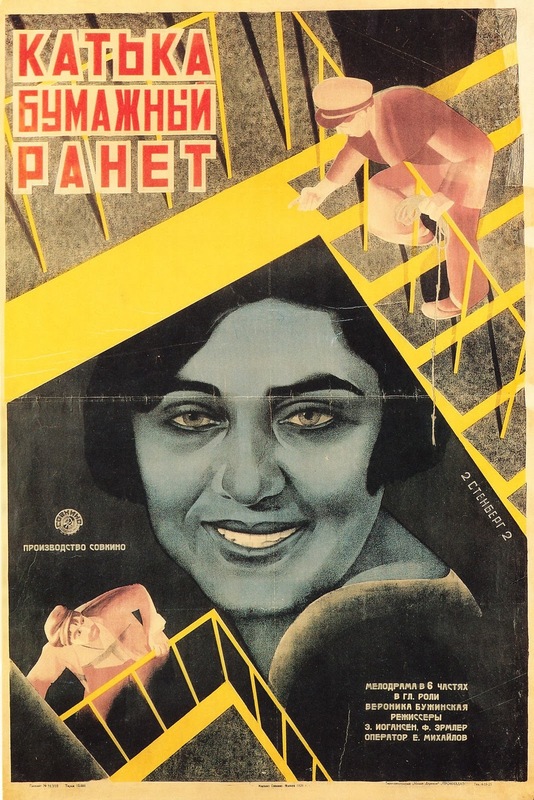 The Stenberg brothers (Vladimir 1899 - 19882 and Georgii 1900 - 1933) were both born in Moscow of a Swedish father and Russian mother, but remained Swedish citizens until 1933. 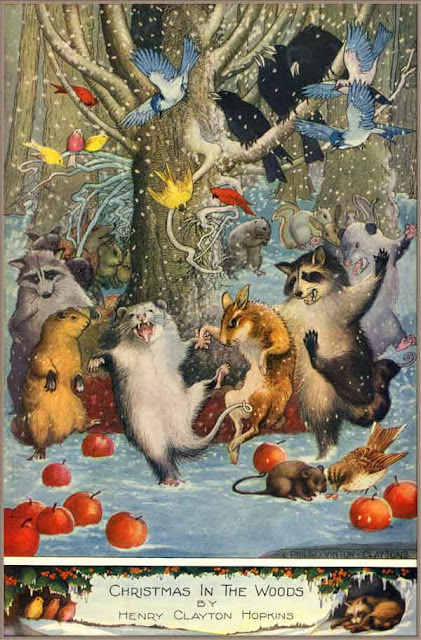 They first studied engineering, then attended the Stroganov School of Applied Arts in Moscow between 1912 - 1917, and subsequently the Moscow Svomas (free studios), where they and other students designed decorations for the first Mayday celebration in 1918. 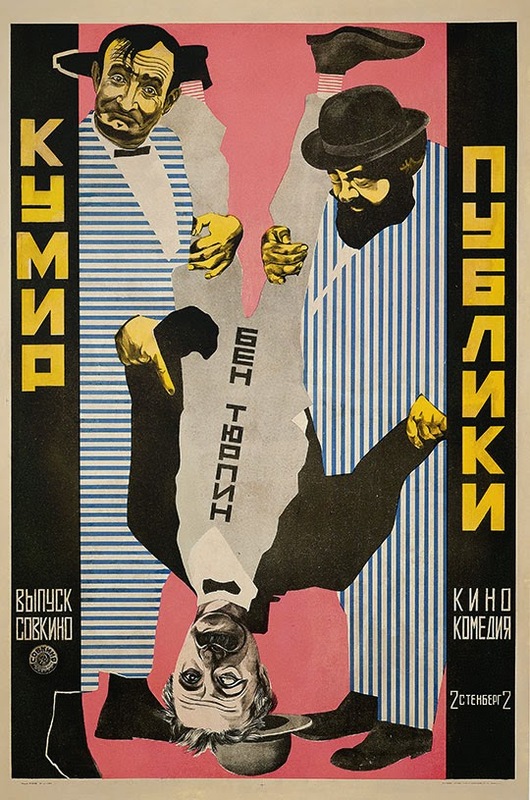 In 1919, the Stenbergs and comrades founded the OBMOKhU (Society of Young Artists) and participated in its first group exhibition in Moscow in May 1919 and the exhibitions of 1920, 1921 and 1923. 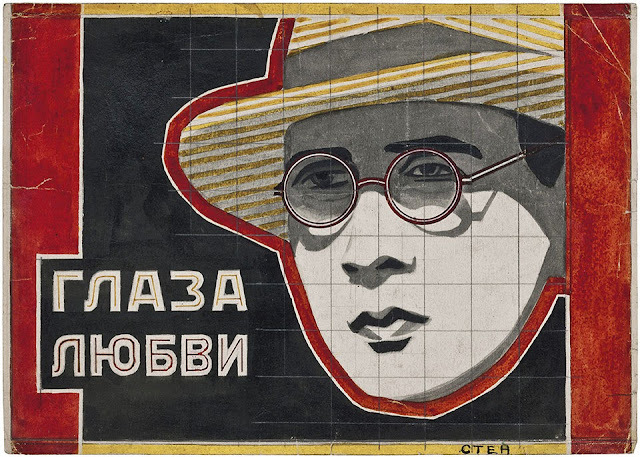 The brothers and Konstantin Medunetskii staged their own "Constructivists" exhibition in January 1922 at the Poet's Café, Moscow, accompanied by a Constructivist manifesto. 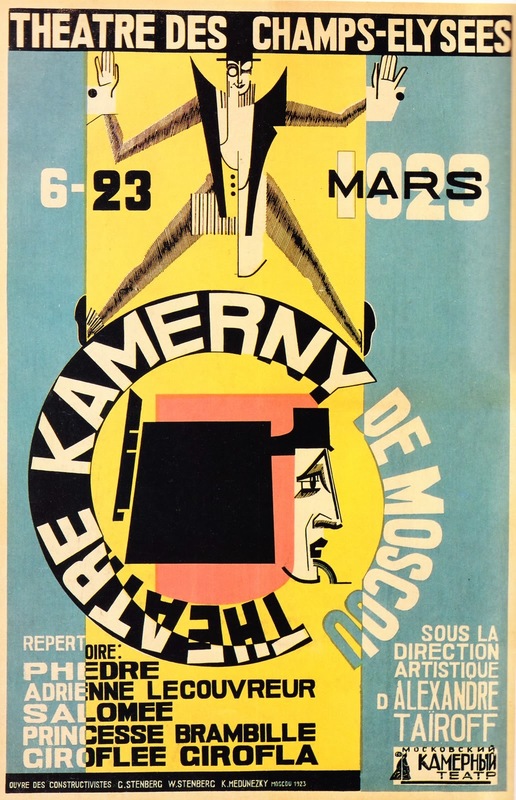 Also that year, Vladimir showed his work in the landmark Erst Russiche Kunstausstellung (First Russian Art Exhibition) held in Berlin. 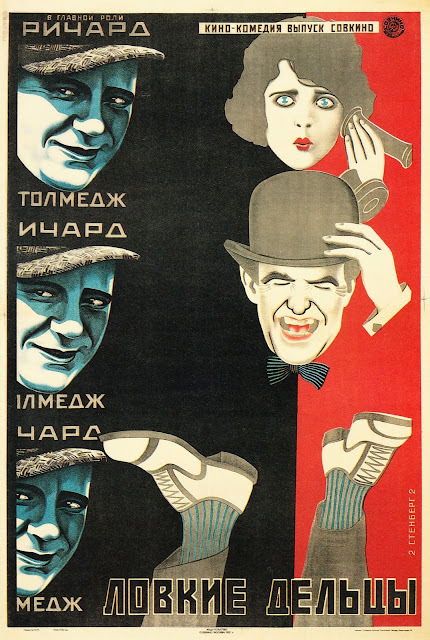 During the 1920s and 30s they were well established as members of the avant-garde in Moscow, and of Moscow's INKhUK (Institute of Artistic Culture). 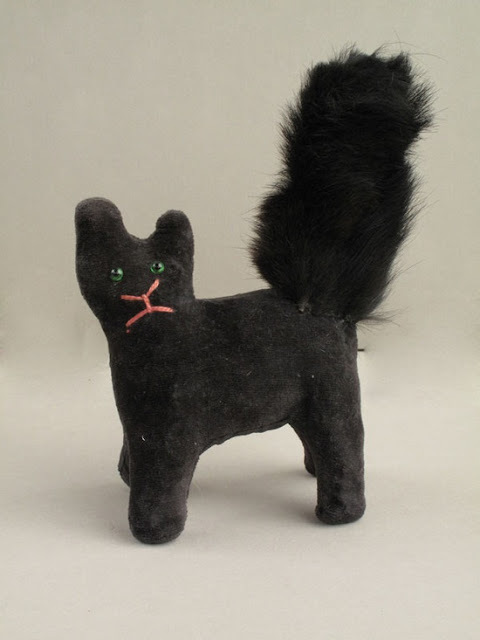 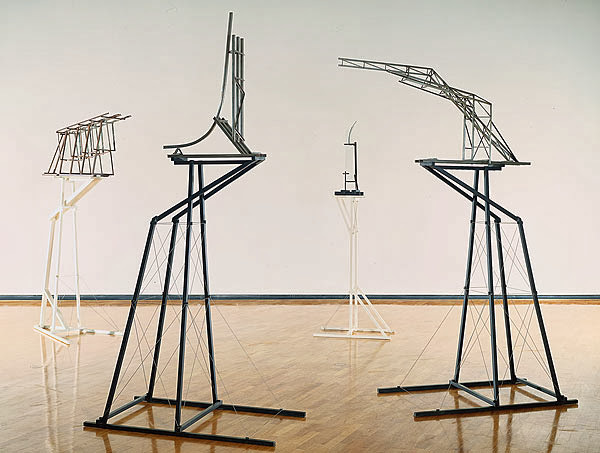 The Stenbergs practiced in a range of media, initially active as Constructivist sculptors, subsequently as theatre designers, architects, and draughtsmen. 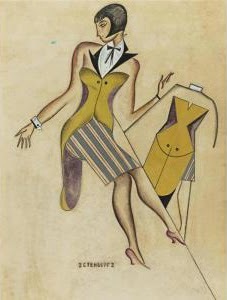 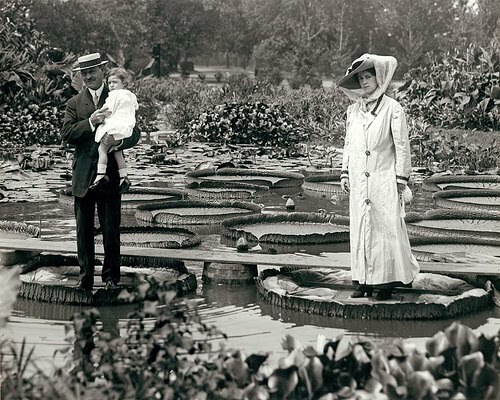 Their design work covered evrything from clothing, including women's shoes, to railway carriages. 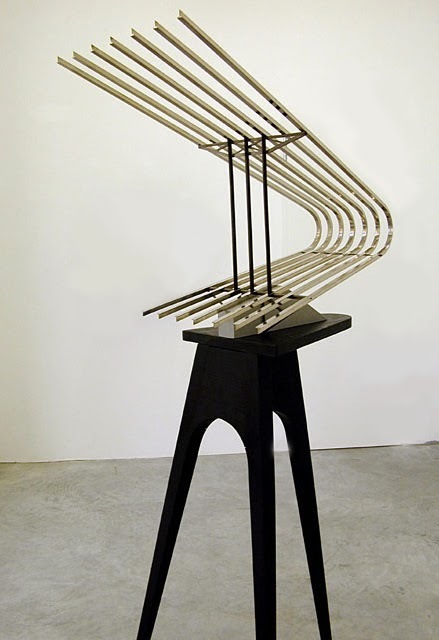 Some examples of their sculpture were spidery and spindly structures, such as the reconstruction (1973-74) of KPS 11: Construction of a Spatial Apparatus no. 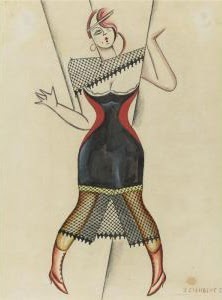 11 (1919-20) in steel, glass, paint and plaster on wood, now in the National Gallery of Australia, Canberra. 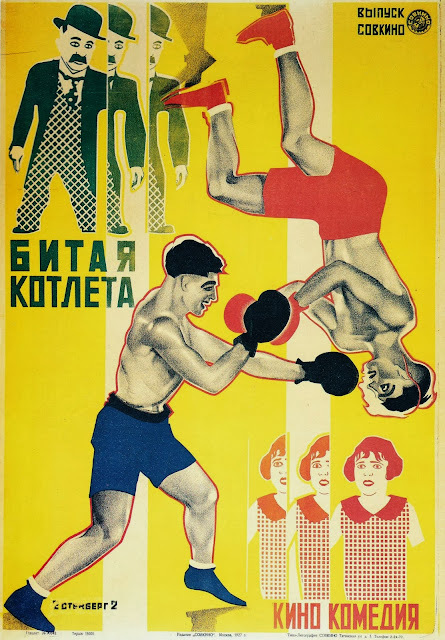 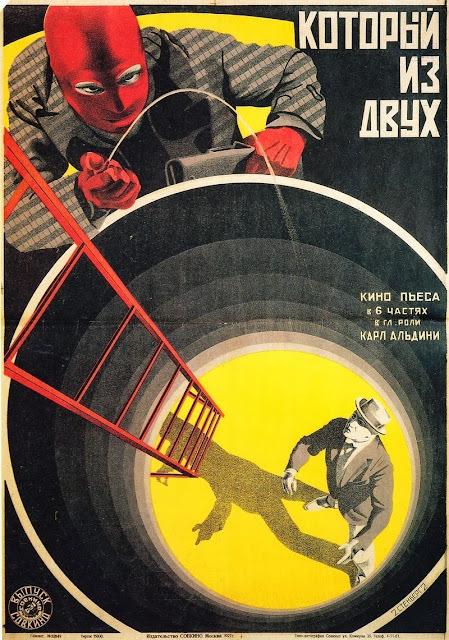 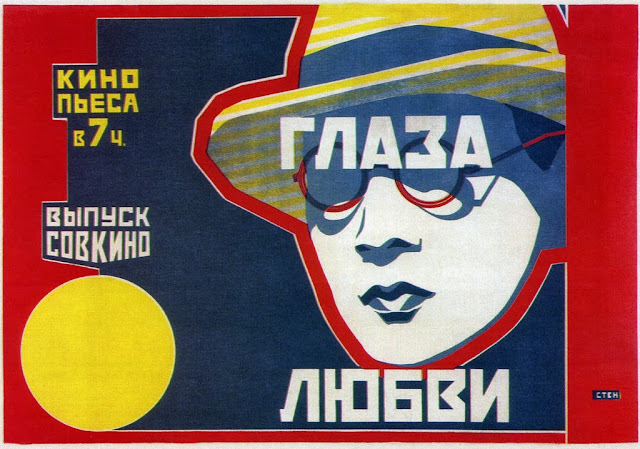 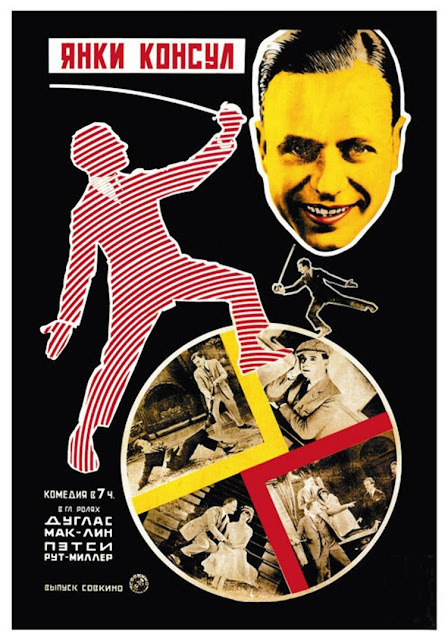 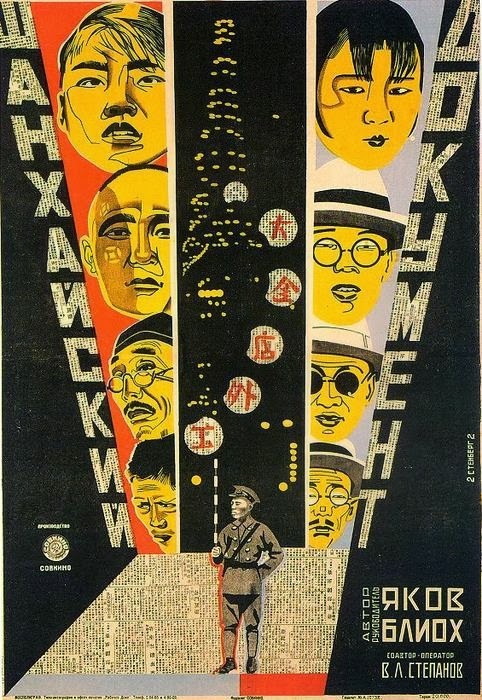 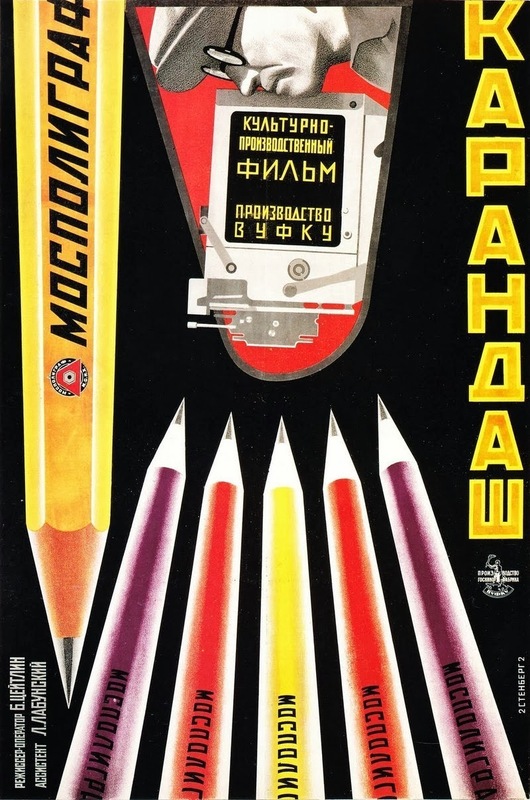 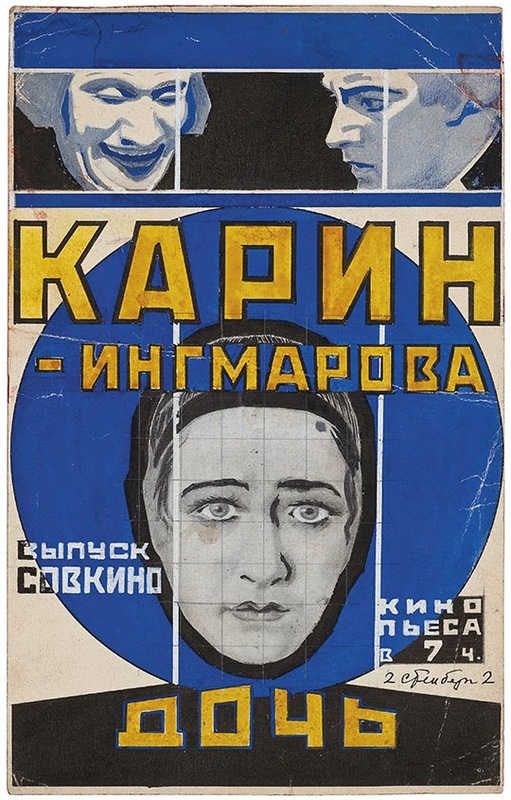 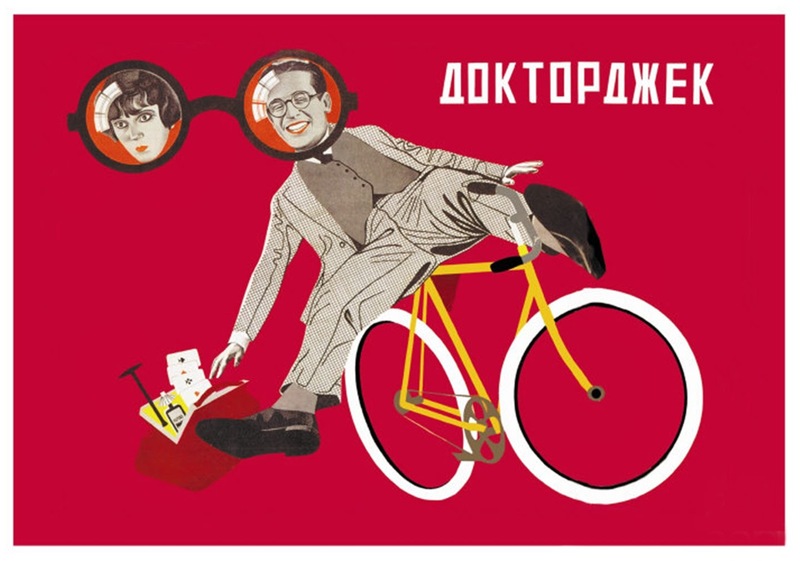 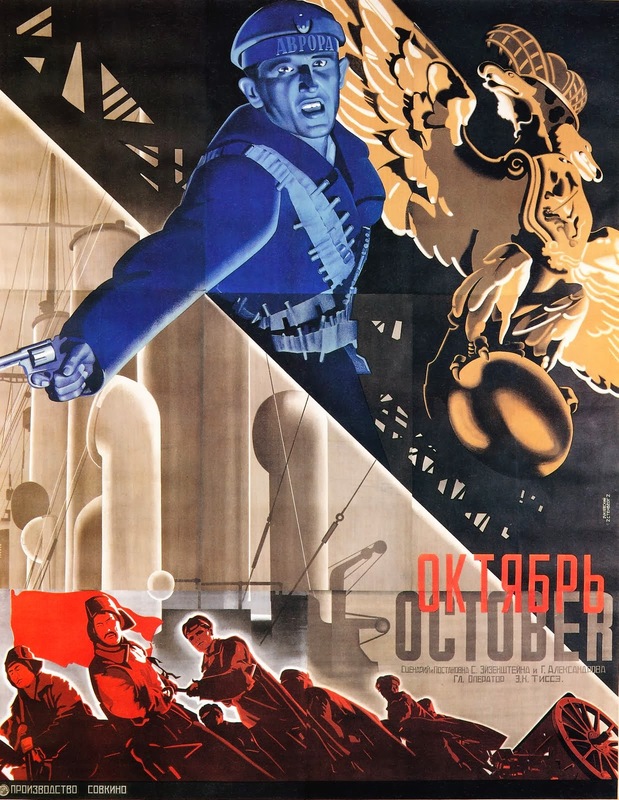 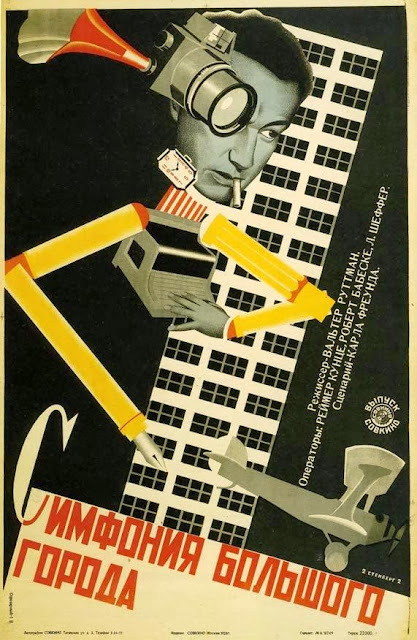 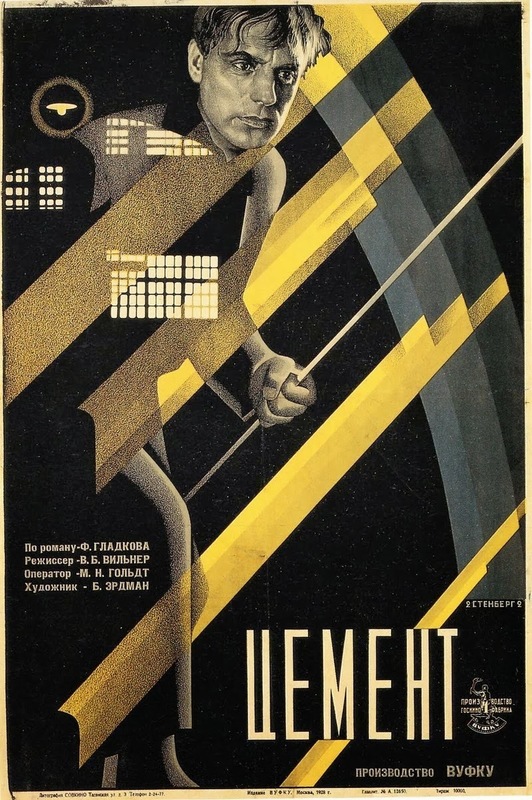 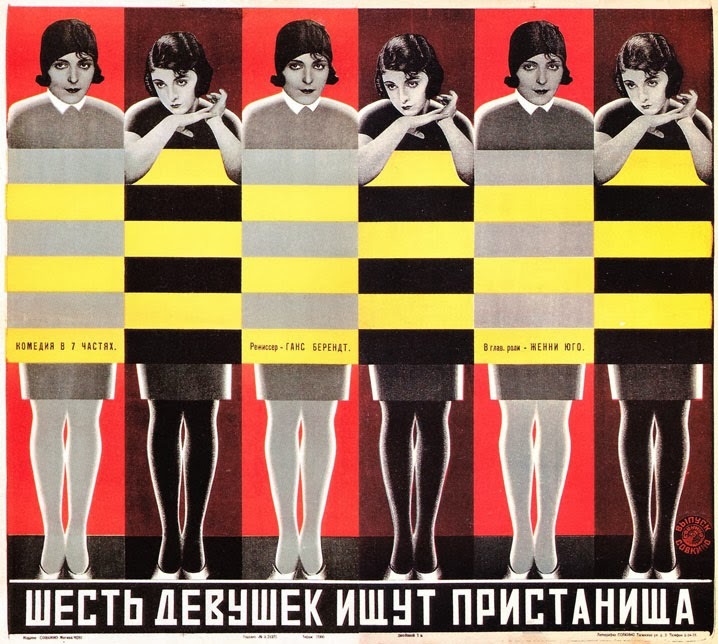 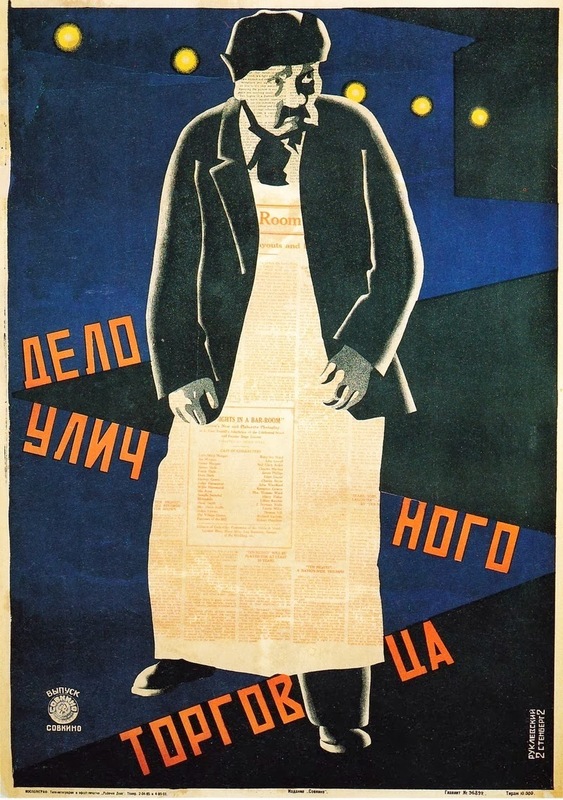 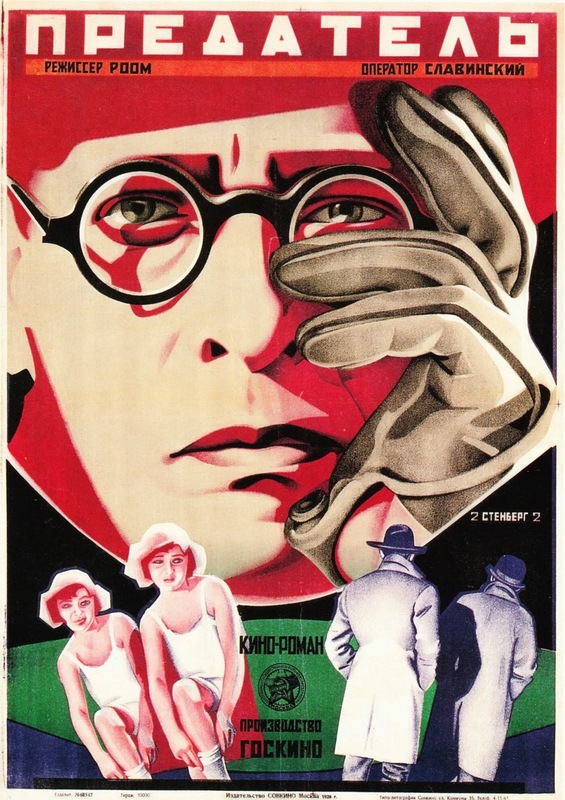 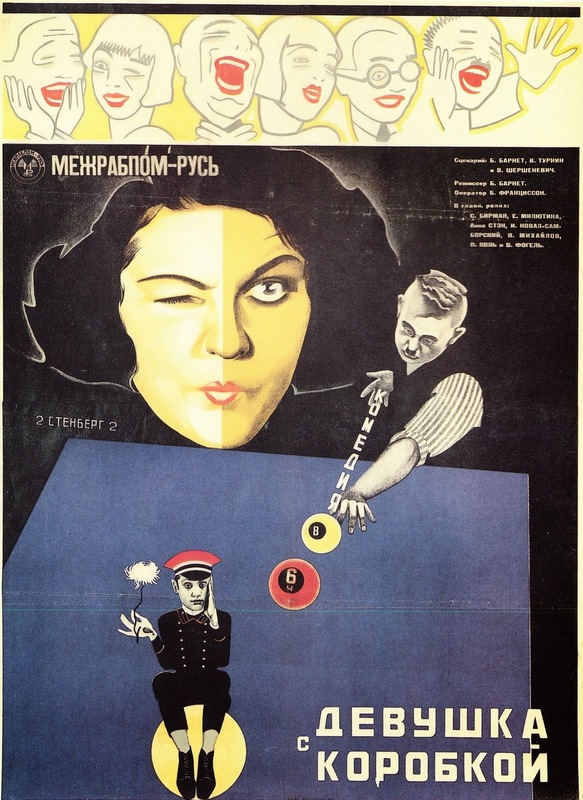 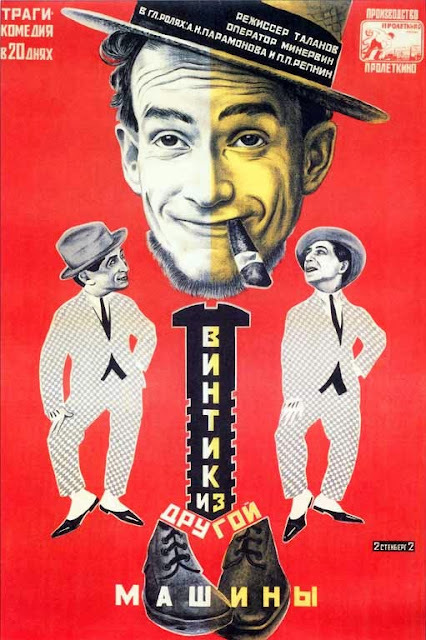 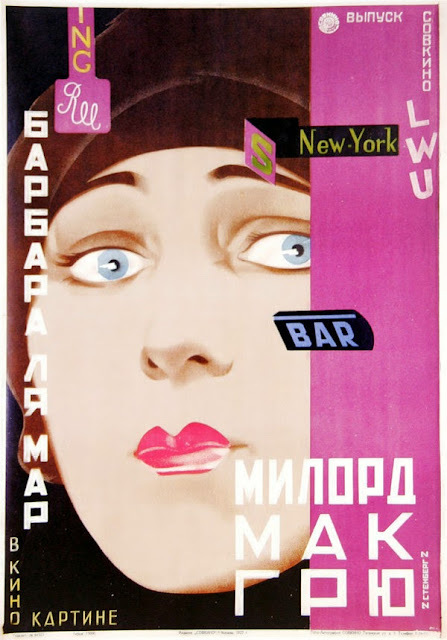 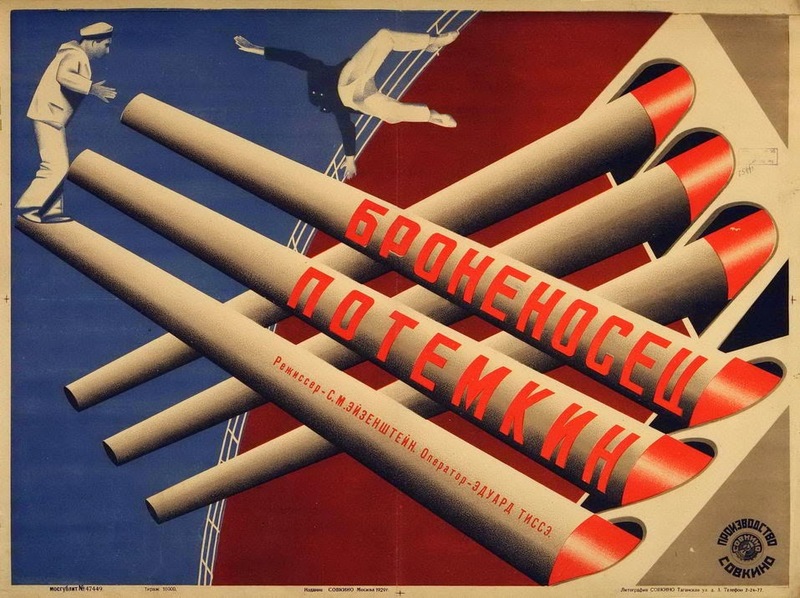 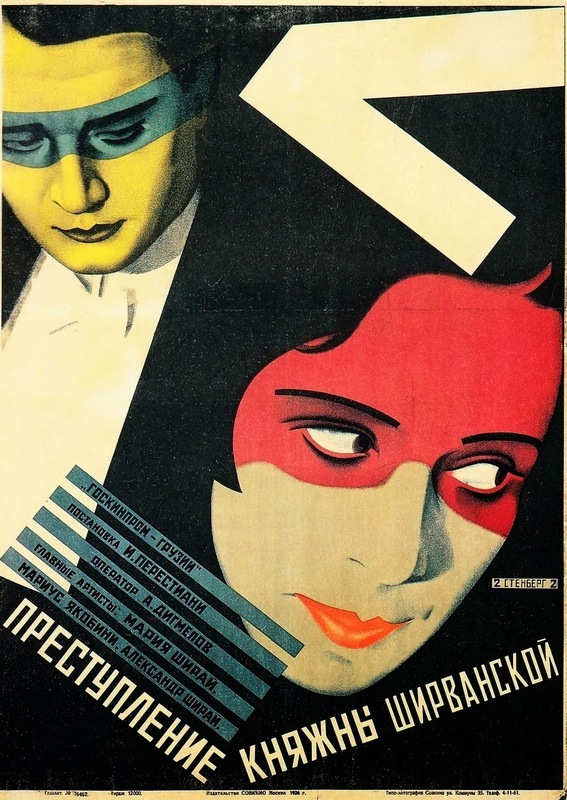 However, the arenas in which they excelled were theatre costume and graphic design, particularly the graphic design of film posters, encouraged by the surging in movies in Russia and the government's sanctioning of graphic design and the cinema. The brothers were at their prime during the revolutionary period of politics and artistic experimentation in Russia, centred in Moscow. In the visual language of the constructor of Constructivist, the Stenbergs and other designers and artists made assemblages. 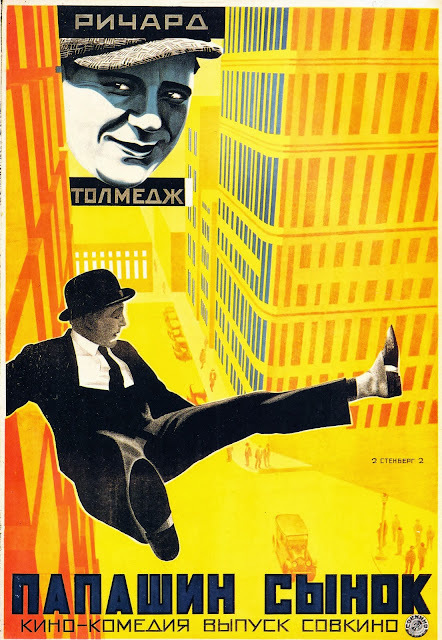 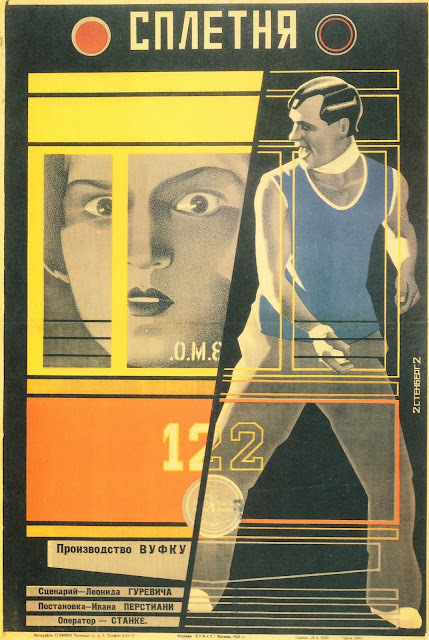 The innovative visual aspects of the Stenberg posters included a distortion of perspective, elements from Dada photo-montage, and an exaggerated scale, a sense of movement, and a dynamic use of colour and typography - eventually all were to be imitated by others. 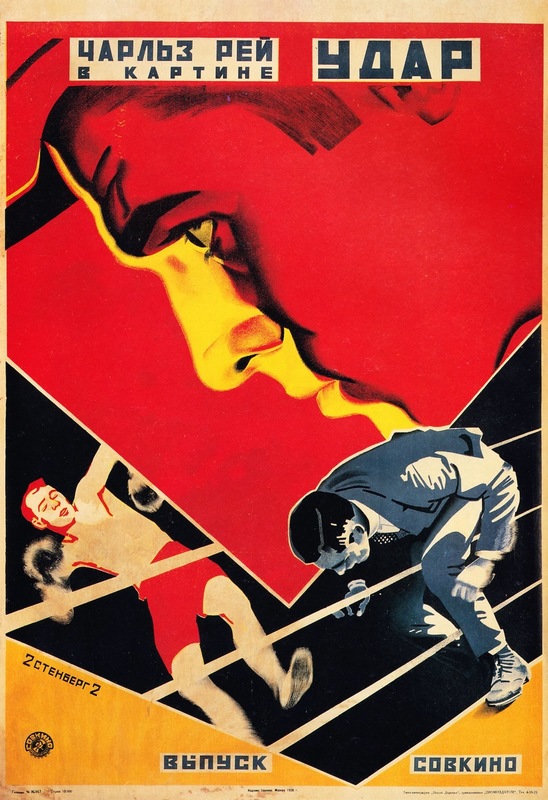 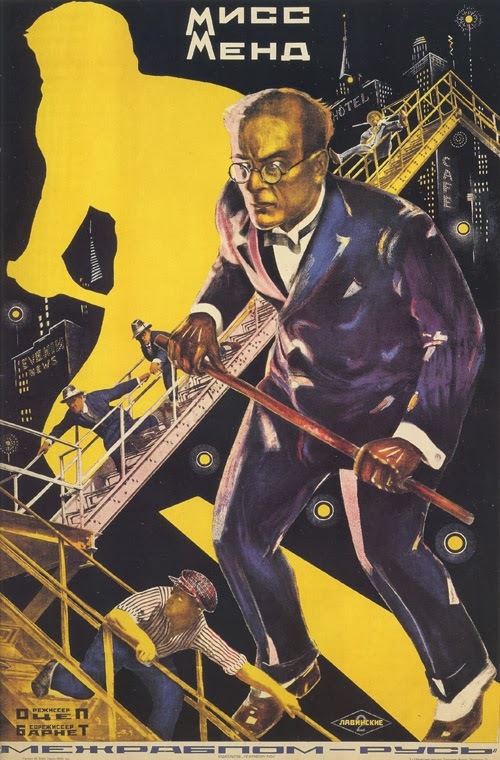 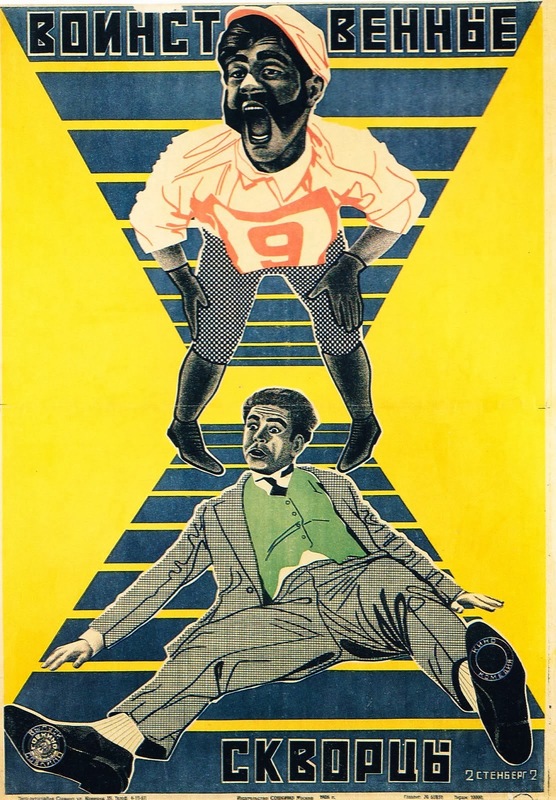 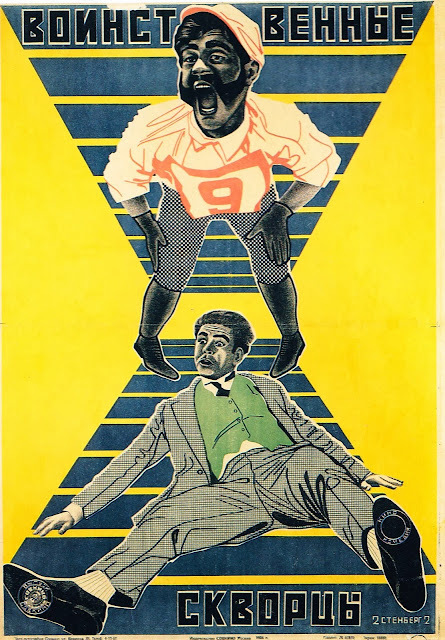 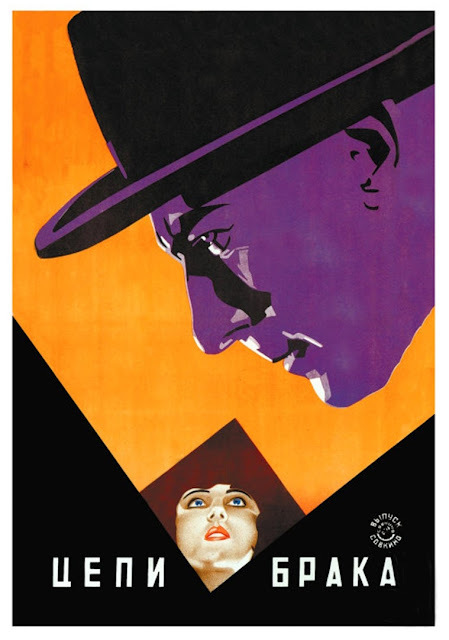 The Stenberg artwork was frequently based on stills from the films. 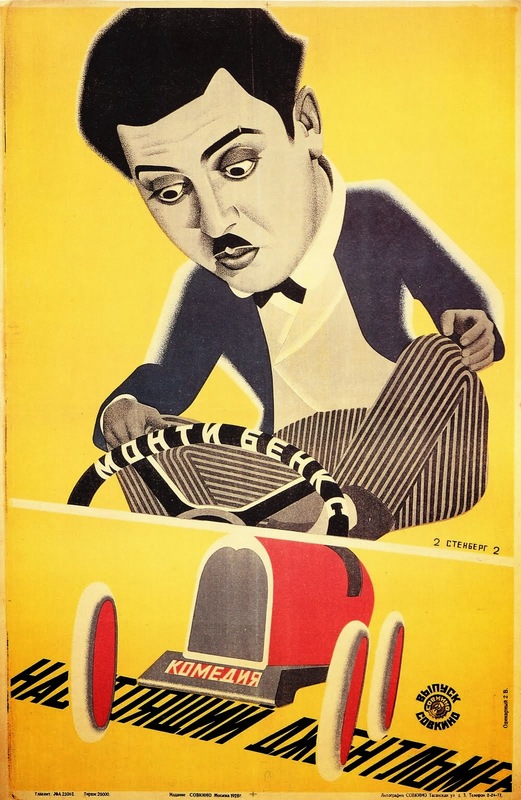 Radical even today, the posters by the brothers working together were realised within a nine-year period from 1924 to 1933, the year Geogii died at age 33 in a motorcycle accident. 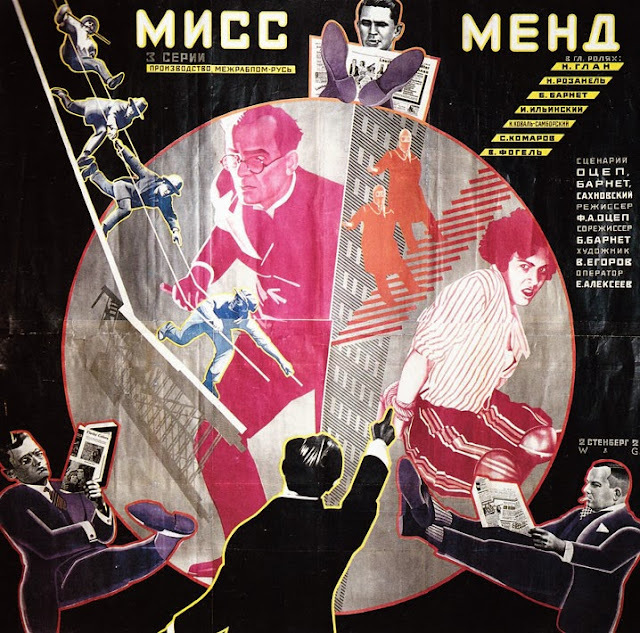 Vladimir continued to work on film posters and organised the decorations of Moscow's Red Square for the Mayday celebrations of 1947.